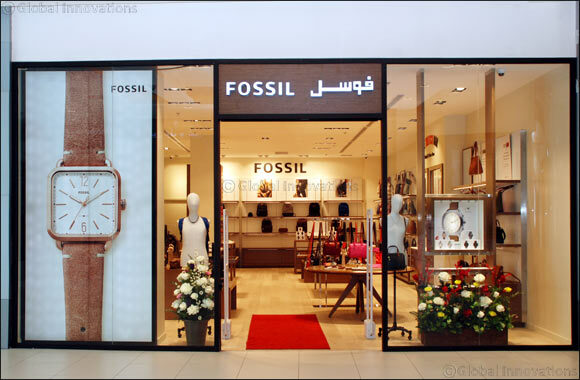 Kingdom of Saudi Arabia, September 2017: Fossil is delighted to announce that the third Fossil store in the Kingdom of Saudi Arabia has opened its doors at Red Sea Mall in Jeddah. The vintage-inspired American lifestyle brand, rooted in authenticity and modern flair, is the sixth Fossil branch opened by Alyasra Fashion in the region in prime locations, including another two malls in Saudi Arabia, two in Kuwait and one in the United Arab Emirates. The award winning brand is known for creating trendy vintage styles that translate into timeless key pieces. The latest shopping destination will boast impressive and distinctive signature product offerings. Red Sea Mall was selected to house the newly opened store as the mall is considered one of the largest shopping destinations Jeddah. The recently opened Fossil store now occupies a prime spot within the mall and offers a brand-immersive experience for shoppers. The innovative store showcases the vintage Fall 2017 collection, offering a range of the latest Fossil styles including watches, leather goods, chic eyewear and jewelry for men and women on display. The collection offers endless accessory options to compliment any fall outfit. Customers will also be able to enjoy the latest in smartwatch technology with Fossil’s Q watch collection. The hybrid Q collection selection for men and women is being driven by a global campaign for the rest of 2017, featuring endorsements from many celebrities including American Hollywood actress and sweetheart, Kristen Bell. Customers are invited to experience the new Fossil store, located on the Ground Floor at the Red Sea Mall, to be immersed in the latest in innovation from Fossil.